BUFFALO -- The Buffalo and Erie County Botanical Gardens will hold a pair of holiday-themed workshops this weekend. A pair of Decorated Boxwood Tree Workshops are slated for 9 a.m. and 1 p.m. Saturday. In this popular seasonal workshop, participants can create their own unique boxwood tree. The Botanical Gardens will provide ribbons and small holiday décor items, but participants are asked to bring hand clippers and a box for transport. On Sunday, a pair Fresh Conifer Wreath Workshops will be held -- also at 9 a.m. and 1 p.m. 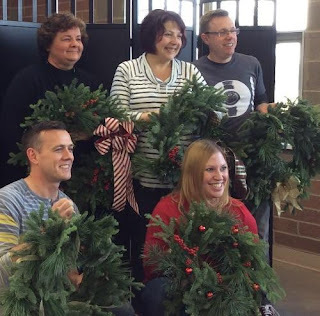 In this class, participants will create a fresh and fragrant 14” conifer wreath to add some seasonal greenery to your home. Again, the Botanical Gardens will provide ribbons and small holiday décor items, but participants are asked to bring hand clippers, garden gloves and a large box for transport.